You can not only preview the report - you can edit the report that has already been created as well! To get detailed information about editing text, see the "Working with text and descriptions" topic. If you click the "Save" button ("File - Save" main menu item), you can save the report as HTML or RTF file. 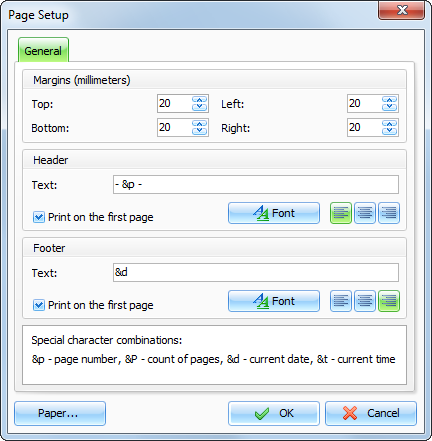 To print the document, click the "Print" button ("File - Print" main menu item). 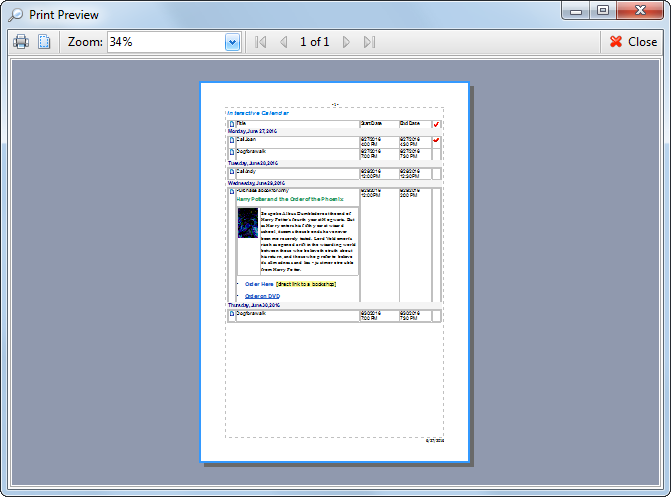 To see how the printed report will look like, click the "Print Preview" button ("File - Print Preview" main menu item). 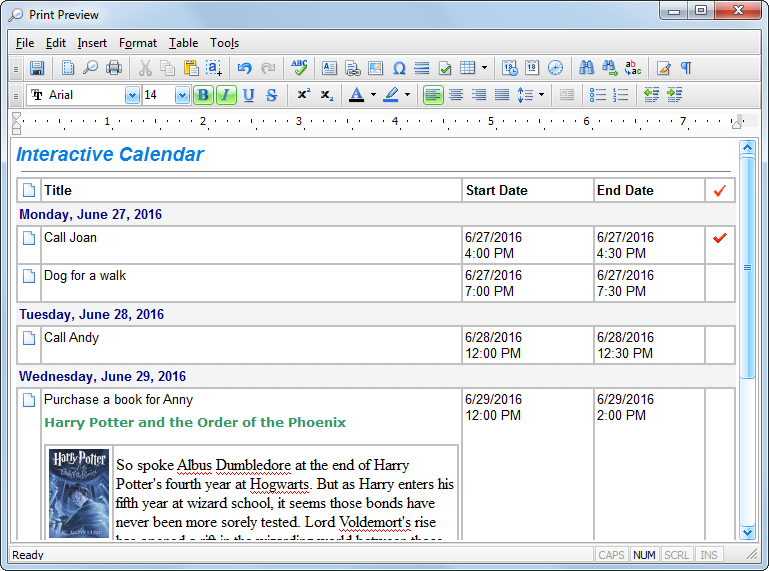 This window is used to set up margins for printing as well as to create header and footer. Color and alignment of headers and footers can be changed. To set paper orientation, press the "Paper" button.